The expertise to secure your best interests. Exclusive Arizona Buyers Agents is the premier buyer’s agent brokerage for exclusive luxury homes in Scottsdale, Arizona. 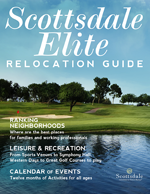 This Scottsdale luxury real estate brokerage is the preferred choice for both out-of-state and local residents seeking both gated and non-gated residences. With our intrinsic understanding of the unique aspects of the Arizona lifestyle and homebuyers’ distinctive tastes and preferences, our team of experienced buyer’s brokers and agents offer premium service, protection and results to ensure a superior Arizona luxury real estate home buying experience. Jennifer’s love of the desert lifestyle and knowledge of the diverse Scottsdale marketplace make her the perfect choice for newcomers to the area and residents buying their Scottsdale properties. Raised in Scottsdale and a graduate of Chaparral High School and Arizona State University, this veteran realtor understands the nuances of the Scottsdale real estate market. Ask Jennifer anything about the area and she’ll know the answer. Plus, she’ll ask you, her client, lots of questions to precisely understand your unique needs. As a licensed Realtor® for 17 years, ten with Realty One Scottsdale, she uses her years of experience in real estate, marketing, and public relations as a strong base for a unique approach that unites buyers and sellers for optimum results. She’s passionate about providing buyers with the personalized service they deserve and the attention to every detail they require to provide a superior home buying experience. Jennifer has a history of supporting the community through her leadership involvement with local boards and commissions. Plus, she has been an active supporter of high school athletics through her children’s high school and club teams. She also raised her children to value the importance of giving back and has joined them to volunteer through Boys Team Charities, St. Mary’s Food Bank, Packages from Home, St. Vincent de Paul and many others. With her son at the University of Ohio Medical School and her daughter a recent Baylor University graduate, Jennifer understands the needs of families at different stages of their lives. Perry began his real estate career with West USA Realty in 2005. He has enjoyed many successful years as an agent in northeast Phoenix and Scottsdale. Perry has negotiated many transactions for clients including the purchase of bank-owned properties. During Perry’s real estate career, he has been both a buyer’s agent and a listing agent and this gives him a clear understanding of all sides to a real estate transaction. Perry has listed and sold property for his clients and gone on to represent them in the purchase of their new homes as well. This speaks to the comfort level Perry’s clients have with his professionalism and also the trust they placed in him. His attention to detail and desire to help means his clients are always in the best hands. Brian is responsible for the management, marketing and daily operations of Exclusive Arizona Buyers Agents. He’s spent most of his life in the Scottsdale area where he raised a family, built businesses and became a respected community leader. As a result, he has an intrinsic understanding of the unique aspects of the Arizona lifestyle and homebuyers’ distinctive tastes and preferences. Brian is also the CEO and lead strategist for FabCom, a top integrated, strategic marketing and advertising agency with more than 30 years of success building better brands and greater ROI for clients. He is author of the book Neuromarketology, which details an innovative marketing methodology embraced by many industry leaders today. Together with wife Jennifer, principal and designated broker for AZBA, Brian built this brokerage to fill a void in the marketplace when it comes to fully protecting home buyers, exclusively. He is dedicated to providing a heightened level of protection and service with integrity, and offering among the most advanced technology and market resources in the industry that will facilitate and optimize the search process, and ultimately provide a superior home-buying experience. They’ve fulfilled their dream to help luxury home buyers fulfill theirs.